This summer was for making things. 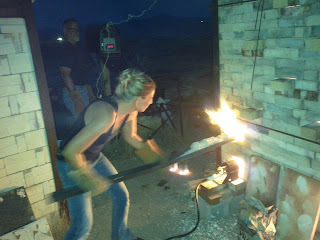 I reconnected with an old love (clay) in a most happy place (Tuscarora, Nevada) and made pots and whistles. Spent time in the woodshed with Yair and built a table, and a meditation stool, and a pasta drying rack. I made new friends. I pickled kelp with my grandmother. I made some jewelery. I folded paper. I cooked and read and had a good time. 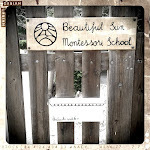 And now the summer is over, and tomorrow the children come back to school. Today I was wondering why I was feeling an absence of nerves. Usually there is a building wave of anxiety that begins to gather momentum before the new year begins... "Do I still know how to do this?" I wasn't feeling it this week, I'm not feeling it now while I write. I was curious enough that I almost summoned the tension by too much wondering. Perhaps all the presence gathered up in the summer by working with my hands and being a beginner at so many things is helping me learn that there doesn't need to be a dramatic crescendo of emotions. That tomorrow is not yet, and to trust that I'll know how to respond to whatever happens when the time comes.